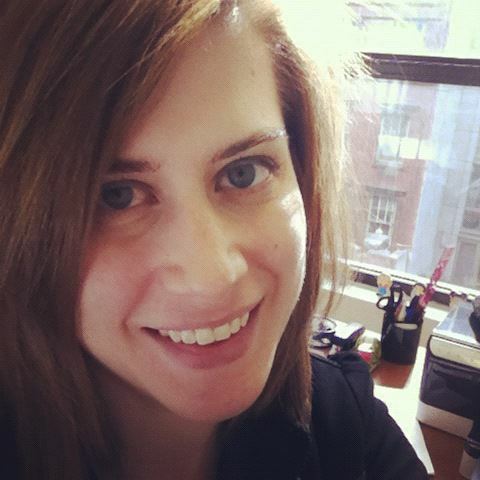 Kate Rados is the Group Digital Marketing Director for F+W Media. Before this position, Kate was the Director of Digital Initiatives for Chelsea Green Publishing and created Sterling Publishing’s (a subsidiary of Barnes & Noble, Inc.) digital presence by rolling up her sleeves to implement their eBook program, executing the relaunch of multiple business and consumer websites, defining their digital marketing strategy, and effectively taking a traditional publishing house into the digital age. Nothing about Kate’s career has been cookie-cutter. She started as a Casting Director for MTV Networks, hiring voiceover talent for the hit series ‘Celebrity Deathmatch’ (yes, the one with the puppets!) and other animated series and commercials. Her next move was to the food capital of television, Food Network, where she launched the careers of Rachael Ray, Paula Deen, Sandra Lee, Giada DeLaurentiis, and immediately gained 20 pounds. Kate never takes off her consumer hat, approaches each project with a can-do attitude and is always ready with a witty comment to make everyone smile. She attributes her theater training as the best resource for dealing with any situation and is a self-proclaimed gadget geek. In her spare time, Kate is a vocalist and can frequently be seen rocking out in karaoke bars across Manhattan. Did Edison Predict the iPhone? OH GOD. DAD’S FINISHED HIS BOOK.